Last month after I finished the first draft of PATHOGENS, I sent out a call for Beta Readers. Well, my edits are complete and the book is ready for feedback! If you already volunteered, your character is waiting for you in your inbox. Want to get in on the action? It’s not too late! Hit me up on my contact form. All you have to do is send me your top three preferences for which character you’d like to read. 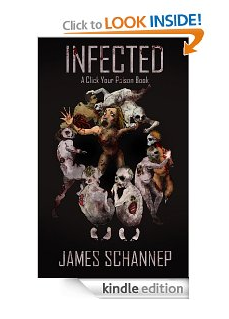 You’ll find a short description of each character in PATHOGENS below. PS — If you’re not into feedback, here’s your update: PATHOGENS should be in your hands sometime in August or September! Lucas Tesshu, middle aged man who handles crisis with the same serenity a stone handles the river. As a child of Japanese immigrants, you’ve lived much of your life as an outsider, making solitude a revered mentor and friend. As a Kendo instructor and master of swordplay, you’re more than capable of defending yourself, but as a disciple of Bushido, you are committed to helping those in need. So the question becomes: Can a man unable to leave someone for dead still survive the Zombie Apocalypse? Thanks for reading! Excited? Ready to start reading?